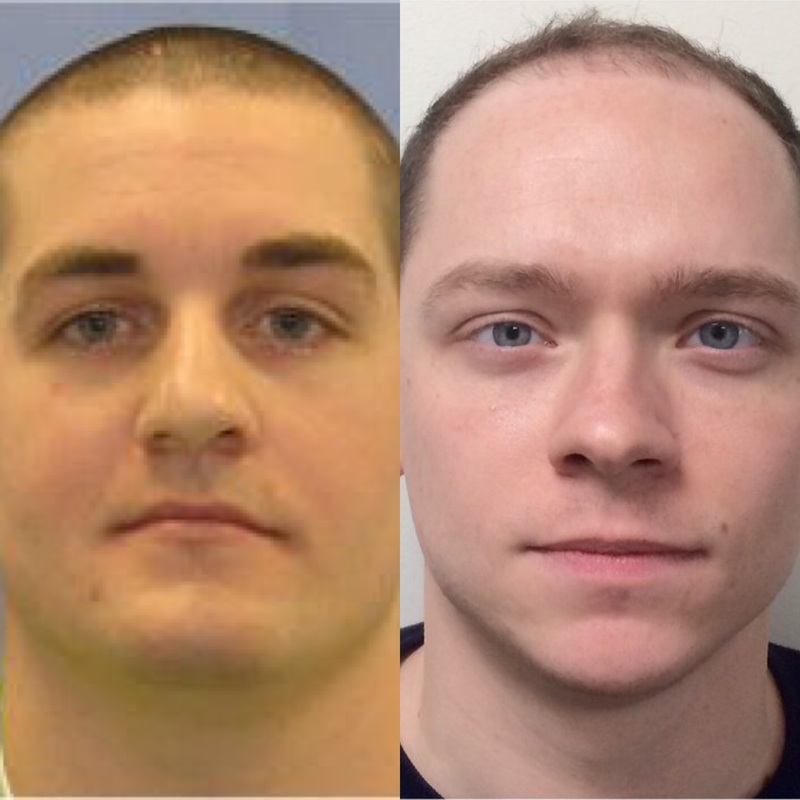 Former SEPTA Police Officers David Simcox (L) and Johnathan Lanciano (R). Courtesy of SEPTA. Yesterday, the SEPTA Police Department charged two of its former officers with assault and other crimes after reviewing body camera video of an arrest the officers made in December of 2017. The case may represent the first time that body camera footage has been used to support criminal charges against police officers in Philadelphia. SEPTA Police first equipped their entire force in January 2016. Philadelphia Police fully equipped a single district as a test in April of the same year and have been expanding the program to other districts since. According to the criminal complaints filed against Johnathan Lanciano and David Simcox, the two officers were part of a group of five that responded to a report of a man trespassing on the tracks at the Frankford Transportation Center. Officer Lanciano claimed that when he attempted to remove Townsend from the tracks, Townsend punched him. Simcox backed up this account. Both officers said they punched Townsend only after he punched Lanciano. However, after an Assistant District Attorney reviewed video from the officers’ body cameras and from station cameras, prosecutors dropped all charges filed against Townsend. According to a SEPTA spokesperson, the Police Department’s practice is to investigate all incidents in which officers claim that a suspect resisted arrest. SEPTA Police policy also requires Internal Affairs investigators to review all body camera footage related to allegations of resisting arrest. After reviewing the footage, investigator William Saunders concluded that Lanciano had grabbed Townsend from behind and then pushed him into a wall without identifying himself as a police officer. Simcox was then captured on video repeatedly punching Townsend in the face before he is pushed to the ground. Lanciano then punches Townsend several times. Townsend suffered a broken nose, a concussion and other injuries as a result. Saunders alleges in the complaints that the videos do not show that Townsend attempted to assault the officers or to grab a weapon. No weapons were found on Townsend after his arrest. According to the complaints, the other officers on scene, Christian Gregory, Kevin Costello and Mark Byrne, all reported that Townsend punched Lanciano as well. But when interviewed by Internal Affairs, the three officers said they did not witness Lanciano throw any punches. SEPTA Police Chief Thomas Nestel told The Declaration that they merely reported that Lanciano claimed that he had been punched. Still, without video, the claims made by Lanciano and Simcox and echoed by the other officers might have become the official story. Instead, both officers were fired in February. Simcox, who is alleged to have repeatedly punched Townsend in the face, is now charged with aggravated assault, simple assault, recklessly endangering another person and filing a false report. Lanciano is charged with harassment, simple assault, recklessly endangering another person and filing a false report. Even with video evidence, however, the outcome of the charges against the former officers is uncertain. In 2016, a jury acquitted Philadelphia Police officers Sean McKnight and Kevin Robinson of assault on Najee Rivera, even though the incident was captured on a security system video. According to Mensah Dean, Lanciano and Simcox’ union, the Fraternal Order of Transit Police, denies the charges and is already attempting to get the officers’ jobs back in arbitration. Court records do not show any previous lawsuits or criminal charges against the officers in state or federal court in Philadelphia. According to Nestel, both officers had been with the SEPTA Police Department for approximately two years and neither had disciplinary history prior to their firing and arrest.